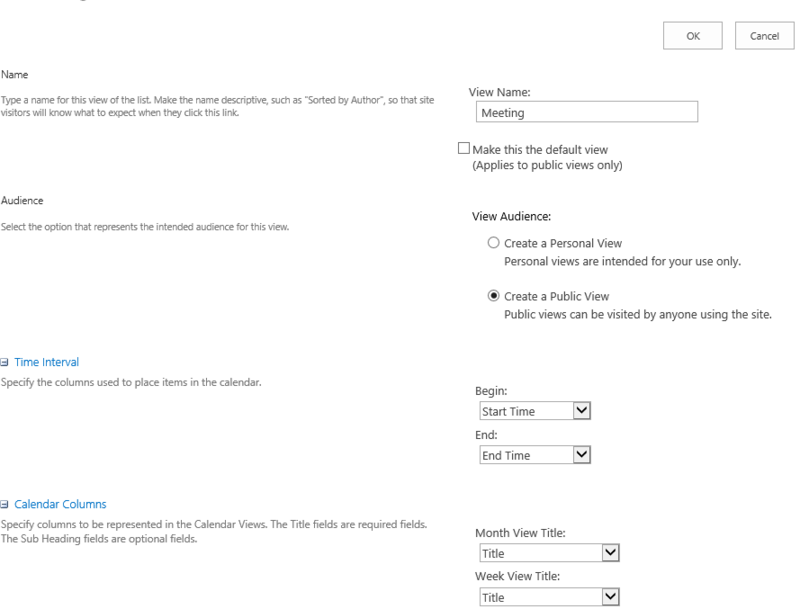 Calendar being one of the most significant feature in SharePoint. Most of the time to use it in a meaningful way, you need a little bit of customization. 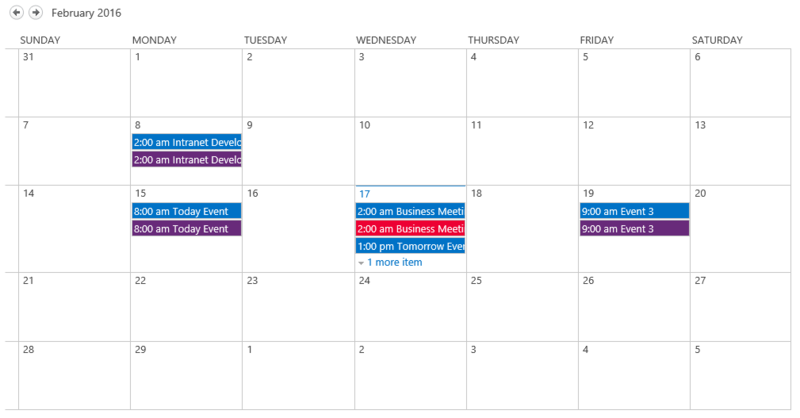 This article describes the way of customizing the color code of Calendar items based on a specific category. Scenario: I need my calendar to show different colors for each category such as Meeting, Business, etc.…Once we complete all the steps, you will see a calendar like this which has different color for each category. The filtering option can be used to either default “Category” Field or you may create your own column with multiple choices as you need. I have used SharePoint Online In this Scenario but it will be the same for On-Premise SharePoint as well. So let’s get in to the scene. First to create Views on the Existing Calendar. 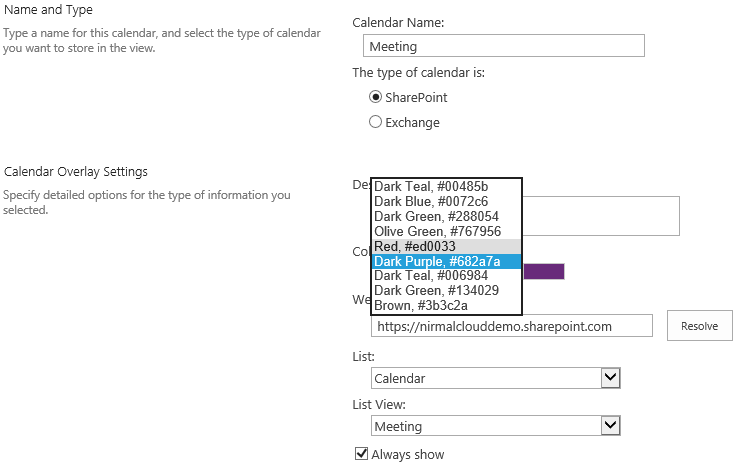 Office 365 SharePoint will already have Calendar by default even for newly created sites. Give it a name and drag to bottom of the page. In this case its “Meeting” so I will see this name when I’m configuring the Overlay at next levels. Choose the Filtering Option as you need it to be. In this case I will use the Category Filed to Color up the events so each Category will have a different color. First lets create a View for the Meeting category. Once selected the field and given the Value which you want to filter, hit “ok” to save. It will bring you up to this page. Hit on new Calendar here (Not to be confused. 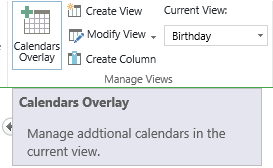 This doesn’t mean you need to have multiple calendars here. It simply means you can have multiple calendars as well. also you can have multiple views in a single Calendar too) so in this scenario, we will have multiple views in a single calendar in order to define different colors for each category. Let’s create the first Overlay for the Meeting Category first. URL will be automatically inserted. If your calendar on the root site, simply click Resolve to retrieve the List and View otherwise define the path for your calendar. This is where you define the View you created earlier. From now on, All items created under Meeting Category will be shown in Purple Color. If you have many categories, repeat the same process for other category items as well (e.g.- Birthday, Business). When you complete everything, the final Calendar will look like this.